False Dmitry II, historically known as Pseudo-Demetrius II and also called the "rebel of Tushino", was the second of three pretenders to the Russian throne who claimed to be Tsarevich Dmitry Ivanovich, the youngest son of Ivan the Terrible. 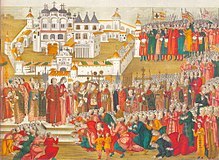 The real Dmitry had died under uncertain circumstances; most likely an assassination in 1591 at the age of nine at his widowed mother's appanage residence in Uglich. 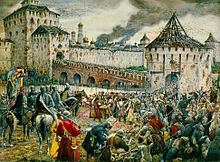 Battle of Mozhaisk was a series of battles at the final stage of the Polish-Muscovite War (1605-1618). on the western approaches to Moscow. 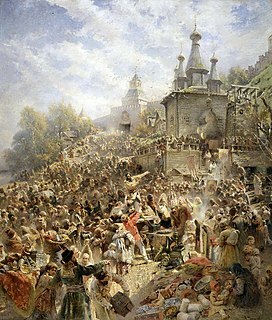 The battle is part of the Moscow campaign of Wladyslaw IV. During months of fighting, the Russian armies managed to maintain their combat capability and prevent the rapid seizure of Moscow. 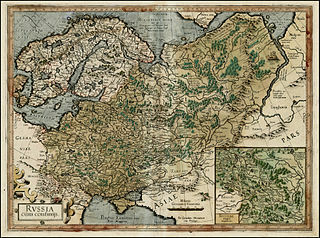 However, the threat of encirclement forced the Russian troops to retreat, opening the way to the enemy for the capital.